Don Draper as HBS case study: A Harvard professor tries to decide whether Don is worth the trouble. Is Don Draper Worth It? A Harvard Business School professor writes up the troubled ad man as an HBS case study. As both a professor at Harvard Business School and a Mad Men obsessive, I’ve been considering the final episodes of the series from what is surely an unusual perspective. Specifically, as Don flamed out at McCann, I couldn’t help but think that the company faces a classic managerial dilemma. Here was an employee whose brilliance was matched only by the problems he creates. It’s a common issue in the corporate world: How should a business executive deal with a subordinate whose talents and challenges seem equally vast? Most classes at Harvard Business School are taught using cases: real problems from the business world, sometimes with disguised names, meant to put students in the shoes of a real executive facing an important problem. One of HBS’s legendary cases is “Rob Parson at Morgan Stanley.” It tells the story of an extraordinary investment banker who is up for promotion to partner. Although he delivered millions of dollars in revenue, his relationships with his colleagues were characterized by a level of rudeness and aggression that was (even by Wall Street standards) exceptional. John Mack, then CEO of Morgan Stanley, was faced with the decision of whether or not to promote Parson. The parallels to Don were hard to miss. So I wrote up Don Draper as if he were the subject of a case. What should Don’s new overlords have learned from his long and colorful career in advertising? After he walked out of a meeting without warning and disappeared for three days, and after all his proven unreliable tendencies, should they try to lure him back at all? Is Don Draper worth it? How do you solve a problem like Don Draper? In June 1970 Jim Hobart, CEO of McCann-Erickson, observed a meeting of McCann-Erickson’s creative directors. This otherwise ordinary meeting had special significance. It was the first after the full absorption of Sterling Cooper & Partners, formerly an independent subsidiary of McCann-Erickson, into the main company. Attending for the first time were SC&P’s creative directors, Theodore “Ted” Chaough and, most importantly, Donald “Don” Draper. Acquiring Draper, a legendary figure in the advertising world, had been one of the primary motivations behind McCann’s purchase of SC&P. Hobart had been trying to bring Draper to McCann for 10 years. Now he was looking forward to enjoying the fruits of Draper’s abilities. Hobart was shocked to see Draper abruptly depart from the meeting and not return. Over the next few days, Hobart learned that Draper had missed meetings with Nabisco and National Cash Register, two of McCann’s most important clients. SC&P’s integration was already deeply troubled, so much so that Hobart had already bought out Joan Harris, one of SC&P’s partners, after she made some complaints about a colleague that he found inappropriate. Buying out Draper would cost $1.5 million. Even if he left on his own initiative, this would deprive the firm of his extraordinary skills. Having caught his “white whale,” Hobart was unsure of what to do next. Until very recently, SC&P had operated as an independent unit of McCann-Erickson. SC&P had a complex history. It was founded in 1923 as Sterling Cooper by Bert Cooper and Roger Sterling, Sr., and continued after Sterling’s death and replacement as head of accounts by his son Roger Sterling, Jr. 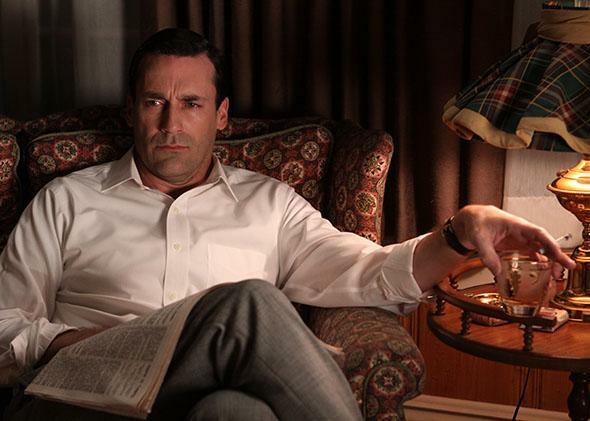 In 1962 Sterling Cooper was purchased by the British advertising agency Putnam, Powell, and Lowe. It had initially intended to install Herman “Duck” Phillips, Sterling Cooper’s head of accounts, as the new manager of the firm, but when Draper insisted that he would leave before working for Phillips, PP&L fired Phillips and installed one of its employees, Lane Pryce, to manage the merged firm’s New York office. Pryce was a seasoned transition manager for PP&L who was originally expected to leave after a short time, but his intended replacement was injured in a lawnmower accident during a party in the office, leaving him in charge. In 1963 McCann-Erickson entered negotiations to purchase PP&L. Draper, unwilling to work for a large firm, persuaded Pryce to fire him and his partners, allowing them to establish a new agency. In an interview with the Wall Street Journal a year afterward, Draper said: “Last year, our agency was being swallowed whole. I realized I had two choices. I could die of boredom, or holster up my guns. So I walked into Lane Pryce’s office and I said, ‘Fire Us.’ ” The partners and Peter Campbell, a Sterling Cooper accounts manager, founded Sterling Cooper Draper Pryce. The new firm initially struggled and was struck a nearly mortal blow by the departure of Lucky Strike cigarettes, by far its most important client. Draper, by this time widely believed to be the “name in [SCDP] that defines who they are,” unilaterally published a full-page ad in the New York Times titled “Why I’m Quitting Tobacco.” The other partners feared that Draper’s abrupt move would destroy the new agency, which struggled through late 1965. By early 1967, however, SCDP had stabilized enough that it secured Jaguar as a client, heralding its return as a powerful force in advertising despite internal power struggles between the partners so severe that a partner’s meeting was rumored to climax in a brawl. Draper, Sterling, and Campbell all state that Harris’s skill at handling the relationship with Jaguar was crucial to this account, earning her a junior partnership. Shortly thereafter the firm was rocked when Pryce hanged himself in his office, but it kept growing. In 1968 the SCDP partners (unknown to Draper) were planning on an IPO in order to capitalize on their extraordinary successes of the last five years. This collapsed when Draper unilaterally ended SCDP’s relationship with Jaguar. SCDP attempted to replace Jaguar with Chevrolet, potentially a far more lucrative client, but Draper learned upon his arrival in Detroit that Chevrolet considered SCDP too small to handle its business. That night Draper met with Chaough, then the lead partner at Cutler Gleason and Chaough, a rival agency that was similarly too small to win Chevrolet. Draper persuaded Chaough to merge their agencies and won the account with this merged firm, which took the name Sterling Cooper & Partners. The account would often be difficult to manage. Several partners at SC&P describe the crucial role of a former SC&P account executive, Kenneth Cosgrove, now at Dow Chemical, who was able to maintain relationships with key figures at Chevrolet despite losing an eye in a hunting accident. Cooper passed away in July 1969. Jim Cutler, one of the other partners from Cutler Gleason and Chaough, took advantage of the change in control of the partnership and attempted to push Draper out. Sterling instead approached McCann and convinced it to buy SC&P and operate it as an independent subsidiary, which continued until June 1970. Donald “Don” Francis Draper was a founding partner of SC&P. Originally from California, he trained as an engineer and served in the Korean War as a lieutenant before being wounded and discharged. Draper has revealed that he grew up in an exceptionally poor family, but refused to provide any further details. After the war he moved to New York, where he began a career in sales, starting at a car dealership then writing advertising for Heller’s, a fur coat store. In 1953 he married Betty Hofstadt, who was modeling for Heller’s at the time. He was hired as a copywriter for Sterling Cooper by Roger Sterling, Jr., who spotted his talent while shopping there. By the time he made partner in 1960, Draper had a reputation as one of the most gifted creative minds on Madison Avenue, pairing his talent with unique charisma. Sterling Cooper’s unique policy of filming key client meetings allows some examples of this to be included in this case, including Draper’s invention of Lucky Strike’s iconic tagline, “It’s Toasted” and his arguable career highpoint, winning the account for Kodak’s new slide projector by suggesting that they call it a carousel. His presentation was so powerful that Harry Crane, who became the head of television SC&P, described himself as almost moved to tears. Despite his abilities, Draper’s colleagues and clients often describe him as extraordinarily challenging. He valued his independence so highly, for example, he refused to sign an employment contract with Sterling Cooper until he was forced to by a major client in 1963. Although some commend his skills as a mentor—Margaret “Peggy” Olson, formerly the copy chief for SC&P, who began as Draper’s secretary, was particularly outspoken in this regard—all note that he can be exceptionally difficult to work with. Even apart from his repeated unilateral decisions on behalf of the entire partnership, they note his unexplained absences, prodigious alcohol consumption, tendency to engage in inappropriate office relationships (Draper married, and is now divorced from, his former secretary), and bouts of temper that include an arrest for a bar fight with a pastor. Hobart knew that when Draper reappeared he would need to decide how to handle his wayward employee. He had hoped that the prospect of McCann’s unparalleled resources and client roster would reconcile Draper to losing his prized independence, but so far this had failed. Having pursued Draper for so long, Hobart was loath to so quickly abandon his prize. Whatever he chose, Hobart would have to act quickly. Cases never have a “right” answer. And Draper is obviously a nightmare to work with. But he is so good at his job that losing him could cost McCann-Erickson millions of (1970!) dollars a year in lost revenues. The economics and culture of the advertising industry make him hard to control. Advertising, particularly in that era, is dependent on both client relationships and the performance of creative workers (like Don and Peggy). Someone who is consistently able to both generate powerful advertising campaigns and capture and hold clients has a valuable and rare combination of talents and is unlikely to be easily replaced. The culture of advertising can similarly enable behavior on the part of creative workers that would be unacceptable in most environments. Although this can, unfortunately, sometimes be used to justify truly atrocious behavior, research suggests that creative people do tend to have difficulty conforming to rigid norms and that this is both crucial to their innovative capacity and too often punished by their employers. However difficult Don is, his career has clearly had an upward trajectory. Sterling Cooper was able to create an environment in which he could succeed, and was enormously rewarded for doing so. Also, despite his temper and troubled relationships, Draper is an equal-opportunity offender. He does not just abuse those under him. He’s tough on everyone, even clients, irrespective of their power or status. Furthermore, despite the difficulties Draper presents, he is able to generate loyalty in his colleagues so intense that they give him chance after chance and even sell the company to McCann at least in part in order to save his job. Hobart had plenty of information that this merger would be exceptionally difficult and that Draper in particular would be hard to integrate. Unfortunately, as Don himself said, “People tell you who they are, but we ignore it—because we want them to be who we want them to be.” The contrast between the two companies is dramatic. McCann-Erickson is a large company with a highly bureaucratic structure and a conservative culture. SC&P had a culture progressive enough that it had a female partner and a copy chief who rose from the secretarial pool, and free-wheeling enough that its employees take speed and dismember each other with lawnmowers in the office. Draper bridled at the limited restraints imposed upon him by SC&P. Given that, it shouldn’t surprise Hobart that he found McCann intolerable. In essence, the harm here is largely self-inflicted. McCann bought SC&P in large part because Don Draper was unique—and once they had him, they tried to make him into a duplicate of the people they already had. This is, sadly, far from rare behavior on the part of large and bureaucratic companies. If Don has become a problem, Hobart’s decision to end SC&P’s independence is at least as much to blame as Don himself. The relationship between McCann and Draper may be unsalvageable, and the best Hobart can do is to try to minimize his losses. He could and should, however, make an effort to retain Draper’s talents and get to a better outcome. At a minimum that would involve a one-on-one meeting that laid out options for Draper that would keep him tied to the company. Given his willingness to walk away, the solution is clearly not a matter of money. Offering him, on the other hand, a guaranteed position of independence within McCann, possibly outside of New York, might retain the possibility of both utilizing his abilities and slowly acclimating him to working within a larger company. So: Is Don Draper worth it, despite the unpredictability and the bravado and the brooding? The answer seems to be yes.